Comfy chair with solid beech frame and sprung seat. Comfy foam core fibre wrap cushions. 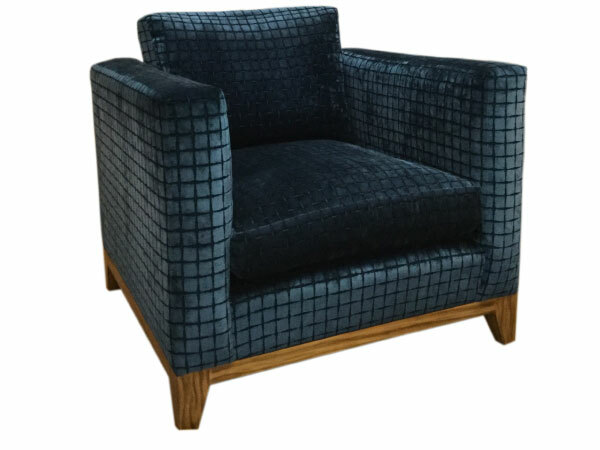 Available in chairs and sofas made to any size. 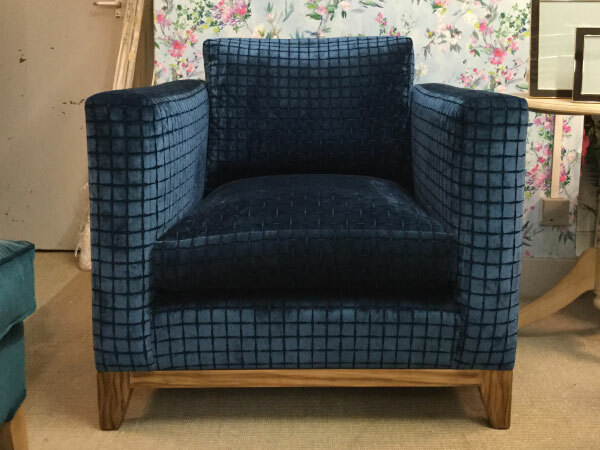 Can be upholstered in any fabric. All dimensions and specifications can be bespoke.